Oh, is the exclamation you'll utter, and O the initial of words that describe this hinged bangle bracelet from Robert Coin's Venetian Princess collection, including ornate, ornamental, and outstanding! 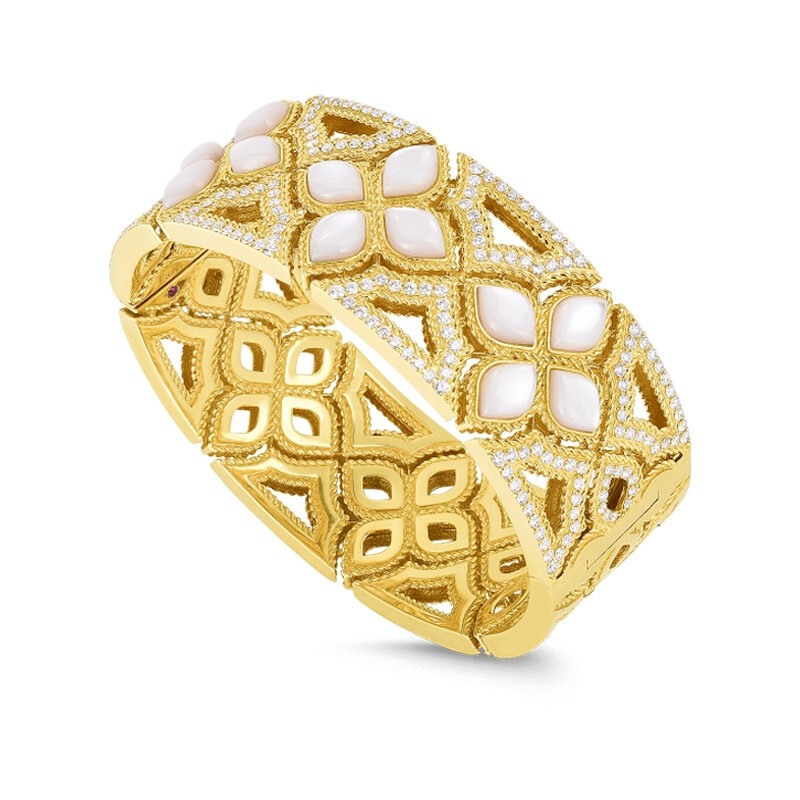 Crafted in 18K yellow gold, the flower petals of the piece are filled with marquise shaped Mother-of-Pearl, while the shapes formed in-between the cut-outs are open, and filled with diamonds between the twisted precious metal trim. This serves to lighten and brighten the beautiful piece of jewelry that will stand out in a crowd. This Roberto Coin bracelet will start more than a few conversations, and turn more than a few heads.